The Dragonfly Performance Pro Mat strikes a perfect balance between optimal comfort and highest performance. On the bottom side, a sharp and sleek non-slip Dragonfly pattern will hold fast on any surface: hard wood, carpet, or outdoors. On the top side, a fabric like non-slip surface will keep you glued onto your mat even in the slipperiest environments. This mat is hard enough to comfortably balance on yet just enough cushioning to honor and protect your joints. 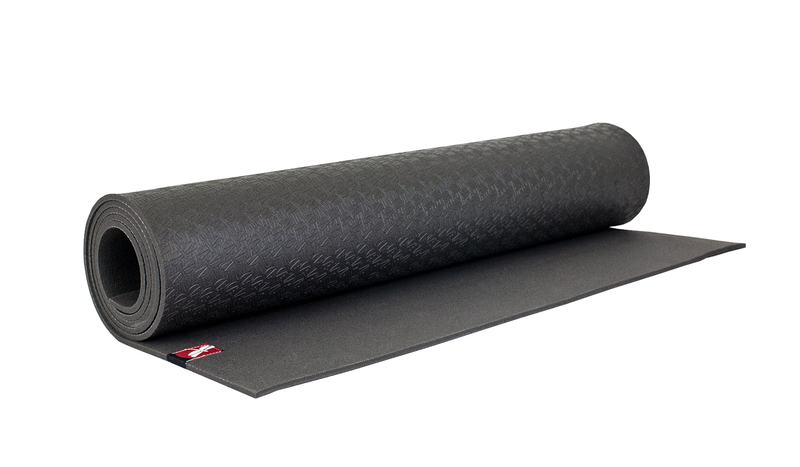 The Performance Pro Mat is a great go-to mat for any yogi, and with a lifetime warranty, this is the only exercise mat you will ever need. This is a great mat and should last a long time. It is not like the traditional mats which are light weight and fall apart in six months. This baby has some weight to it and probably weighs about eight to ten pounds. Take advantage of the sale and get two for $85.00. You can get your weight training in by hauling it to Yoga class three times a week. LOL. Dragnofly Performance Mat = My New Go-To Mat!! After ten years with my Manduka Black Mat, it needed a replacement. I heard through a friend the two were quite similar. She was right -- but I think I even like the Dragonfly Yoga one better. It''s grippier and the bottom has a fun Dragonfly textured pattern that keeps it from slipping on the floors. I''ve also used it outside on the grass and inside on carpet and the rigidness makes it possible. Six stars! The Dragonfly Performance Pro Mat is awesome! I have to say, I was always a manduka fan, but not anymore. My new Dragonfly Performance Pro mat is exactly what I needed. Durable, non-slip surface. I love the new Dragonfly pattern on the bottom. I''m 5''9" and the length and thickness of this mat is like none I''ve ever had! Best Yoga Mat I''ve ever owned!! Thanks Dragonfly!